Data Logging Thermometer - Gilson Co.
MA-245 Data Logging Thermometer captures 5.9 million date, time and temperature readings on a 256mb SD memory card. Data is quickly uploaded to any Windows™ PC via the included USB flash drive with built-in SD card reader port. Features include max/min memory and user-adjustable high/low alarms. 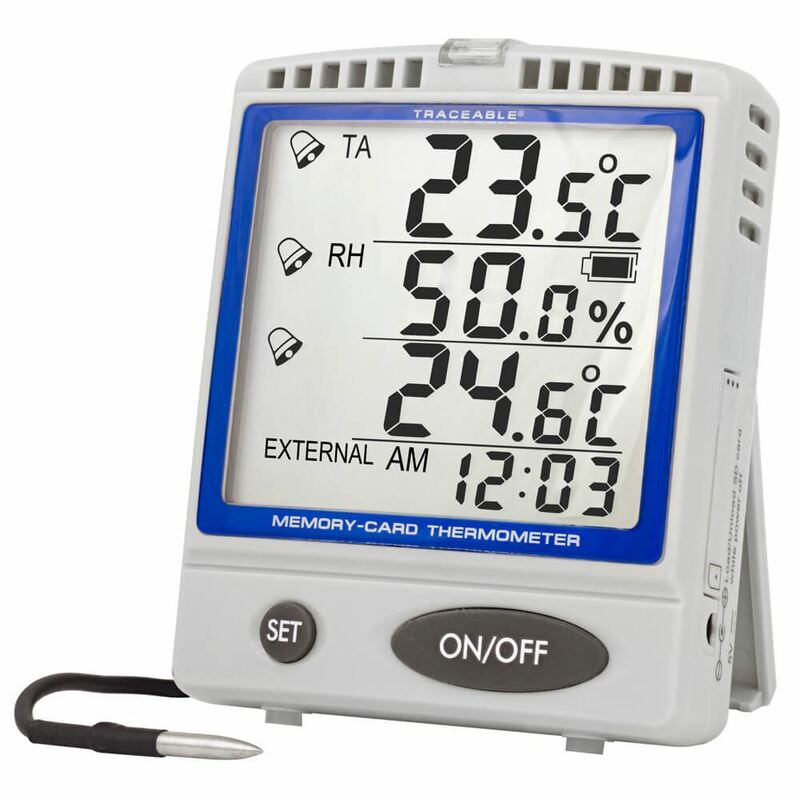 Four-line display shows probe and ambient temperatures, relative humidity and time of day. Range is -22°—158°F (-30°—70°C) with 0.1° resolution. Accuracy is ±0.6°C from 25°—50°C. The attached stainless steel probe is 0.16x1in (4x25mm) ODxL.